Office Space - Hengelo, Overijssel. 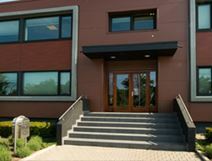 This business centre is located in the south of Hengelo, close to many large corporations. Offering fully equipped office space available on flexible terms, this centre also offers a range of business support services. Here, there are conference facilities, as well as copy and printing facilities. Along with administrative support for maximum efficiency, you will be well provided with the services your business needs to flourish.